Are Sports Drinks a Good Option for Illness-Related Dehydration? Growing up, we always had a “flu kit” of sorts at the ready in case someone had a stomach or digestive issue. It primarily consisted of Saltine crackers, ginger ale, plenty of toilet paper and assorted sports drinks. Given that I am not from a family of natural athletes, the sports drinks were used exclusively for when people got sick with the thought that when you’re losing fluids via vomiting or diarrhea, it’s best to replenish them with a beverage that comes complete with electrolytes (which commercials told us were necessary). Now, a pharmacy professor suggests rethinking that strategy because sports drinks aren’t the best option for illness-related dehydration. 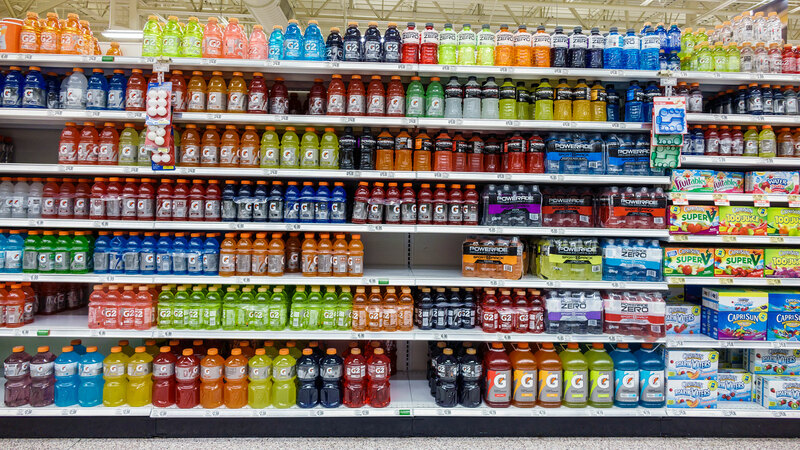 Turns out there is too much sugar, but not enough salt and potassium in drinks like Gatorade and Powerade, John D. Bowman, a pharmacy professor at Texas A&M Irma Lerma Rangel College of Pharmacy, says in a statement. “Sports beverages may be fine for healthy persons following intensive exercise, but they are not recommended for those with fever, diarrhea or vomiting,” he explains. More: How to Tell If You Have a Common Cold or a Full-Blown Case of the Flu? But this is something we’ve known for a while. Why is it so important to bring it up right now? There are actually two reasons. First, while seasonal influenza (aka the flu) is not usually associated with diarrhea, one of the prominent strains this year does in fact feature this symptom. “Children and older people are at greater risk of severe symptoms from dehydration, and using sports beverages, chicken soup or other home remedies may actually worsen the illness,” Bowman adds. Secondly, there is a shortage of intravenous fluids because Puerto Rico — a major manufacturing hub for medical supplies — was recently ravaged by Hurricane Maria, so traditional IV treatment for the flu isn’t an option in a lot of cases, and hospitals have been increasingly turning to sports drinks as a replacement. So if you find yourself with diarrhea or other dehydration related to the flu, what should you do? Bowman suggests the oral rehydration salts solution — a treatment for intestinal flu-related dehydration recommended by the World Health Organization that has ingredients you may have at home right now. To make ORS, combine 1 quart of water, a half-teaspoon of salt and 6 level teaspoons of sugar. You can also add a half-cup of orange juice or a mashed banana for potassium. According to Bowman, the ORS solution is a scientifically sound method of body fluid loss replacement developed for use in places where cholera or other diarrheal diseases are common. It’s also not too late to get the flu shot — so if you haven’t done that yet, get to it stat. If you’ve caught the flu already, a doctor may be able to prescribe antiviral drugs like Tamiflu — but only if you are diagnosed early, as it’s most effective when taken within the first or second day of the flu. Also, be aware that even if you don’t have diarrhea but are sick with a respiratory illness, you can still get dehydrated. In any case, dehydration is not something to mess with, so if it gets serious, it’s best to see your doctor.